The “Drake Fourteen” – So Exactly When Did Rap Become Mainstream? 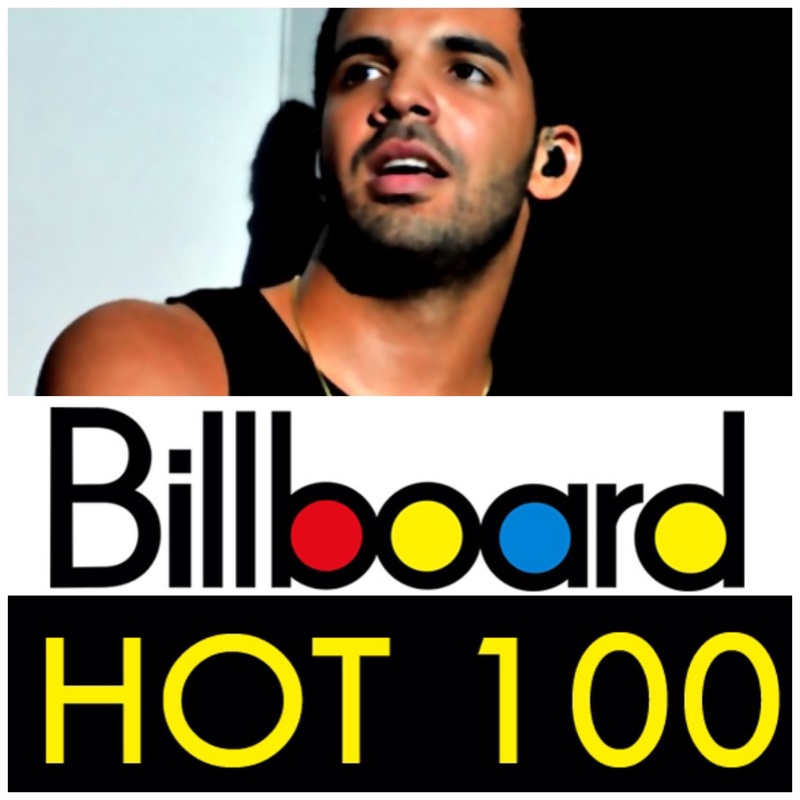 Many of you have read or heard by now that the rapper Drake recently tied an all-time chart record of the Beatles by simultaneously occupying 14 of the slots on Billboard’s Hot 100 (the chart week dated March 7, 2015). He did so with 10 tracks from his current album (“If You’re Reading This It’s Too Late”), which debuted at No. 1 on the album chart, plus four additional tracks by other artists on which he is featured. Reactions may also depend on how chart purists feel about crediting “featured” artists (as Drake is on four of the tunes), or how adamant enthusiasts are about comparing and contrasting the way Billboard calculates its charts now (with the inclusion of any tracks that are available for paid download or streaming) to the way it was done 50 years ago, when songs had to be commercially available as “singles” (in the form of 7-inch 45 rpm vinyl records back then) to be chart-eligible. Although I’m not one of his biggest fans, I’d be quick to point out to Drake’s naysayers that, in 1964, Billboard allowed both sides of a 7-inch single to be listed separately, which largely benefited the Beatles’ in their 14-song accomplishment and gave them an added advantage over artists in subsequent decades, when double-sided hits were joined together as one entry on the chart. But I’m digressing here. Back to Drake and rap. The Canadian rapper’s accomplishment is amazing in its own right, even if only for the fact that no one else (but the Beatles) has accomplished it in the nearly 60-year history of the Hot 100. But it also speaks for rap and hip-hop music as a genre and reminds us that even in an era when rap is being increasingly criticized for its lack of originality and limited subject matter (like misogyny, violence, social indifference, disrespect to women or authority, etc. ), its sometimes unintelligible lyrics and even its reduced market share over the past ten years, it’s still a force to be reckoned with. But that wasn’t always the case. Every music genre has its beginnings, and rap’s was about as humble as they come. So I thought it might be interesting, given Drake’s recent accomplishment, to remind readers just how tough the struggle was for the rap genre in the beginning – from a chart perspective. Since I’m a numbers guy, and because Drake simultaneously charted with 14 songs, I thought it would be interesting to look at rap’s first 14 singles ever to make the Hot 100 (thanks to one of my best friends, Kv Martin, for inspiring the idea). Readers may be surprised to find out just how long it was before 14 rap singles had even reached the chart – not in one week – but ever. To do this, one has to go back to November 1979 and the debut of the very first rap song to make the Billboard Hot 100: “Rapper’s Delight” by the Sugar Hill Gang. By reaching #36 in January 1980, it also became rap’s first top-40 pop hit. That song, although not the first rap record ever made, marked the first time many people had ever heard artists (or MCs) talking or rapping over funk/disco beats and it was also the first time we’d heard the term “hip-hop.” Its liberal interpolation of Chic’s “Good Times” – a #1 pop and R&B hit from earlier that summer – also cemented both songs’ places in history as perhaps the two most important singles of 1979. “Good Times” was important not only for its inclusion in the first rap hit, but also for what it was ending – the dominant, sometimes intimidating, and hedonistic era of disco, while “Rapper’s Delight” was equally notable for what it had started, the equally intimidating – if only slower in building – history of rap. In fact, because of their connection, rap could legitimately be viewed as a direct descendant of disco. But even with the Sugar Hill Gang’s success in late-1979/early-’80, rap music was far from achieving the kind of mainstream acceptance it would in subsequent decades. It would be another seven years before a record by an American rap artist would reach the pop Top 40 again (“Walk This Way” by Run-DMC). In fact, you may find it even harder to believe that “Walk This Way” was among those first 14 songs by legitimate rap acts to even make the Hot 100 – nearly SEVEN years after “Rapper’s Delight” had charted. Below is a listing of those first fourteen Hot 100 singles in chronological order. But the list requires some splainin’. For starters, I omitted the oft-cited “Rapture” by Blondie because it was mainly Debbie Harry ‘singing’ the verses and only rapping during the bridge. I excluded “Double Dutch Bus” by Frankie Smith for similar reasons. Also not on the list are Stevie Wonder’s “Do I Do” (yes, he rapped in the song near the end) and Rodney Dangerfield’s “Rappin’ Rodney” because, well, he gets no respect. And finally, songs like “General Hospi-Tale” by Afternoon Delights and “Super Bowl Shuffle” by The Chicago Bears Shufflin’ Crew are not included because they were one-time novelty songs by studio creations, not rap artists. I am, however reluctantly, including Falco’s #1 hit, “Rock Me Amadeus,” because the late Austrian artist raps throughout the song, it crossed over to the R&B singles charts (peaking at #6), he recorded other rap records, and because several sources refer to him as a rapper. I realize that I’m sure to get some flack by rap purists for that one, but fair is fair. In the coming weeks, I’ll continue this series on rap and hip-hop’s evolution (or devolution) over the past four decades by picking up in the late 1980s (post-“Walk This Way”), when artists like Eric B & Rakim, Salt-N-Pepa, Ice-T, Boogie Down Productions & KRS-One, Doug E. Fresh, Slick Rick, Public Enemy, NWA, MC Hammer and many others helped usher in rap’s “Golden Era.” I’ll be offering unique perspectives on the genre’s explosion into the 1990s and beyond. Posted on March 7, 2015 April 23, 2015 Categories Hip-Hop Perspective, My ListsTags 8th Wonder, Apache, Billboard, Blondie, Drake, Falco, fourteen, Furious Five, Good Times, Grand Master Flash, hip-hop, Hot 100, Jam on It, Kurtis Blow, Planet Rock, rap, Rapper's Delight, Rapture, Run-DMC, Soul Sonic Force, The Breaks, The MessageLeave a comment on The “Drake Fourteen” – So Exactly When Did Rap Become Mainstream?